News agencies and consumer watchdog groups began reporting the presence of lead in lipstick to U.S. consumers in the 1990s. The reports suggest that it may be dangerous to use lipstick with a detectable lead content. Lead is a naturally occurring metal found in the earth's crust. It is in all parts of our environment, including the air we breathe, the food we eat and products we use. Lead is a dangerous neurotoxin, one that the human body cannot break down. If ingested, it accumulates in the body. If your lead levels become too high, the chance of developing health problems is a distinct possibility. These problems are usually minor at first, but then worsen over time with continued exposure. Lead can affect your nervous system, red blood cells, bones, and kidneys; it can also affect reproduction and cause miscarriage. In children, lead poisoning can cause learning disabilities, mental retardation, behavior problems, anemia and even death. That being said, however, lead is not a proven cause of cancer. Lead is a natural element found in the coloring agents that companies use to color lipstick. 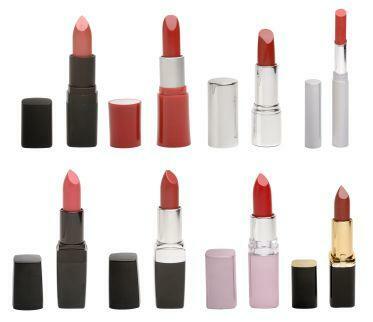 Lipstick manufacturers do not add lead to their products. In October 2007, the Campaign for Safe Cosmetics conducted a test of 33 lipstick brands purchased in different U.S. cities. They found that approximately 20 of the samples tested contained a detectable level of lead. The FDA regulates cosmetics under the Federal Food, Drug, and Cosmetic Act, but does not screen products prior to sale. It does, however, screen color additives, including those used in lipstick. In response to the Campaign for Safe Cosmetics report, the FDA is conducting its own investigation. As a side note, since the FDA does not have a standard for lead in lipstick, the Campaign for Safe Cosmetics report compares lead levels in lipstick to the FDA guidelines for lead in candy. According to the FDA, this is not a fair comparison because candy is intended for ingestion and lipstick is not. Some websites and news reports suggest that consumers can test for lead in lipstick using gold. The test is purportedly positive for lead if the area, scraped with either 14 or 24 karat gold, turns black. According to Snopes.com, a site that works to dispel misconceptions, this is simply not true. There is no way for consumers to test for lead themselves. Some lipstick brands contain miniscule traces of lead. You cannot test for lead using gold. The FDA has strict guidelines for cosmetics, including the color additives in lipstick. There are lipsticks that do not contain lead. According to the Campaign for Safe Cosmetics, the following lipstick brands contain the highest detectable lead levels. Note that not all of the lipsticks manufactured by these companies were tested or contained detectable lead. If you are worried about the effects of using a lipstick with any lead content, there are some lead-free lipsticks. When choosing one, don't confuse all natural or organic for lead-free since lead is found in nature. You don't have to spend a lot of money for a lead-free lipstick either. Inexpensive brands such as Wet n' Wild and Revlon contain insignificant levels of lead. The Agency for Toxic Substances and Disease Registry (ATSDR), an agency of the U.S. Department of Health and Human Services offers a fact sheet regarding the sources and effects of lead. ABC News message boards address the concern. Cosmetic Database is a searchable database that assigns a product safety rating based on the number and type of hazardous ingredients in the product.